Are You Really Able to Relax On Vacation? According to the Organisation for Economic Co-operation and Development (OECD), the average British citizen works 32.2 hours per week, but this is a mean average and the number is significantly higher for many workers. On top of this, around five million Brits regularly work for free in the form of unpaid overtime, checking emails from home, etc. As Brits work hard and have a habit of letting stress get the better of us, it’s probably no coincidence that there was a record number of Brits holidaying abroad in 2016. According to the Office for National Statistics (ONS), there were 70.8 million overseas trips by UK citizens in 2016, which is an all-time high. In short, we work hard and we play hard, but we don’t always know how to relax. 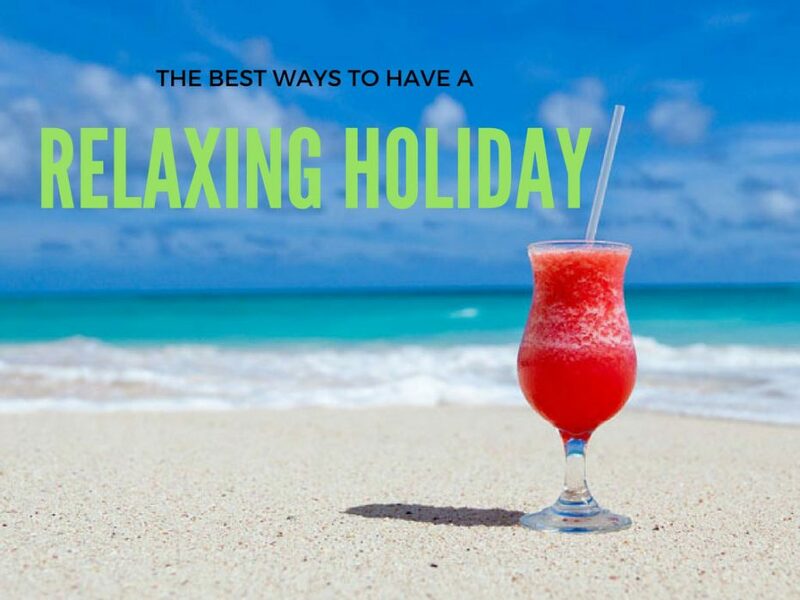 This article will offer advice to readers on how to have the most relaxing holiday possible. Also, read this article to find tips on how to plan a stress-free vacation! By its very nature, reading is slow and requires you to be still and give it all your attention. Some of the best books are exciting and engaging, but reading will always be a slow, relaxing pastime. Many people gather together a list of books to read over the year and then struggle to get through the first couple on the list because they wait until bedtime to read. There’s nothing about waiting until you’re exhausted, in jammies, lying in bed, that says you’re ready to read. You’re ready to sleep, and that’s usually what happens after just a page or two. But reading can be incredibly rewarding for your mental health, your intelligence, your ability to empathize with others, and even in preventing Alzheimer’s disease and other forms of dementia. So, being on holiday is the perfect time to read during the day as you’re not working or expending your energy on other activities. It’s fun to see the sights in whichever country you’re in, but also make sure you assign some time to read by the pool or at the beach. Make sure you bring enough books as running out of books you want to read could drive you to make an impulse buy a book you’re not really interested in. 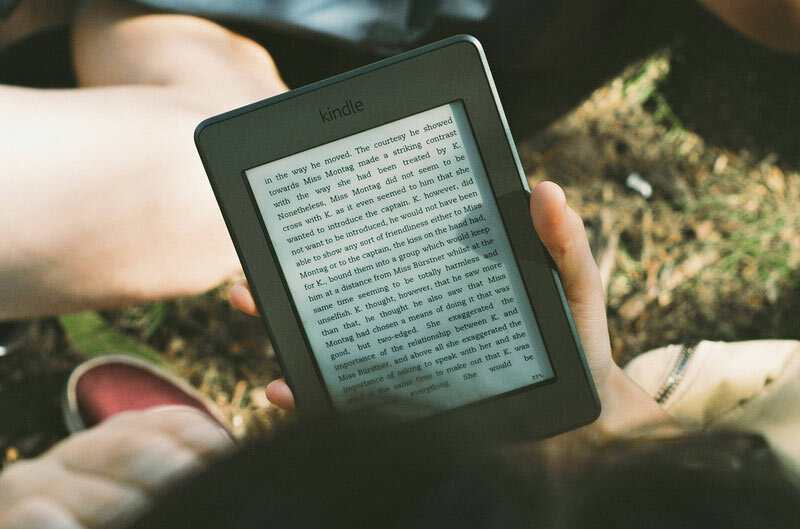 If you’re not sure what you might want to read after you finish your first book, you might want to bring an e-reader, such as a Kindle as you’ll be able to connect to your hotel’s WiFi when it’s time to buy your next book and select exactly what you’re in the mood for. I used to hate the idea to buy a Kindle as I’m an old fashion reader, I like to physically hold the book and turn pages, but nothing beats the lightness of having hundred of books in 100 grams when you travel! If you’re reading in the sun, make sure you wear enough sun cream and to regularly change your sitting position so that you don’t overexpose one area of skin. It’s also important to protect your eyes from the sun. If you require reading glasses, you can combine the two with sun readers from specialists like Foster Grant or just a good pair of prescription sunglasses. The key is to wear glasses that protect your eyes from harmful UV rays whilst also making it more comfortable to read for long periods of time. Don’t feel the need to read a really clever (but boring) book to keep up with your friends or co-workers. 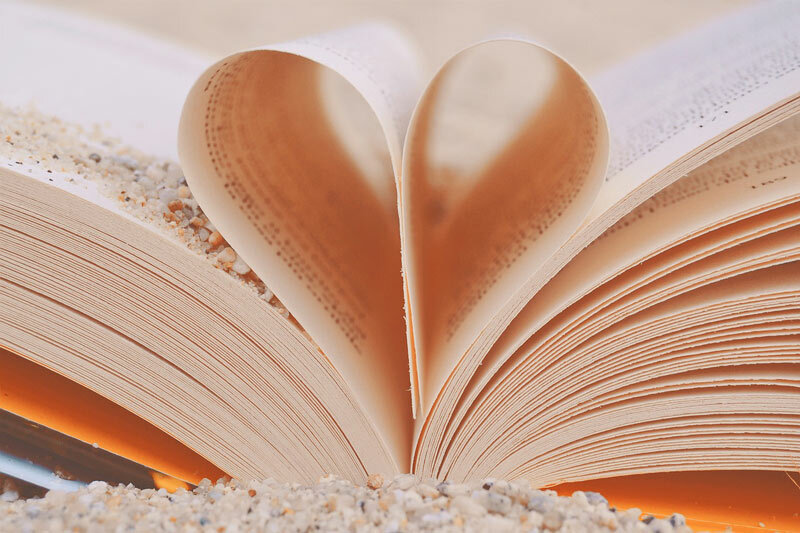 Choose books that pull you along and make you feel whatever you want to feel: thrilled, scared, titillated, emotional, etc. The big secret is that no one really cares what anyone else is reading, so it’s best to just read the books you enjoy most. We often put pressure on ourselves to see all the sights of whichever beautiful city or country we’re visiting. By all means, see the sights, but it’s never conducive to relaxation to beat yourself up because you didn’t see everything while you were away. Instead, it’s a good idea to make peace with yourself and accept the fact that you’re going to see some things (and miss others), but your holiday is more about relaxation than it is about absorbing the entire history and culture of the place. There are different ways of taking pressure off to see everything and you have to find the right strategy for your personality. You may like to make a list of say two or three things you have to see that will be easy enough to manage. Or perhaps you’d find it easier to eschew lists altogether and go with the flow. Whatever you do, take off the pressure; you’re on holiday, relax. Another source of anxiety whilst we’re on holiday relates to food and drink. Some of us worry about the calories from all of the indulgent food and drink, and some of us worry about the dent these indulgences have on our bank balances. Manage the financial worries by having a set amount of spending money, and perhaps even splitting it up each day – but be generous with yourself. If you know what you’re spending each day you won’t be stressed about whether you’ve just decimated your bank balance. If you need a hand keeping an eye on this, Trail Wallet is an app that lets you effortlessly set your budget each day and to update it easily. It’s not looking at your balance that stresses you out, it’s not knowing how low it will be when you do look. Actually taking control of this will help you relax. With regards to calories and overindulgence, the best practice really depends on the person. If you’re the kind of person who beats yourself up for overindulging, then no online article is going to convince you to feel differently. But you may be able to remind yourself that you’re on holiday and that you’re there to have a good time. 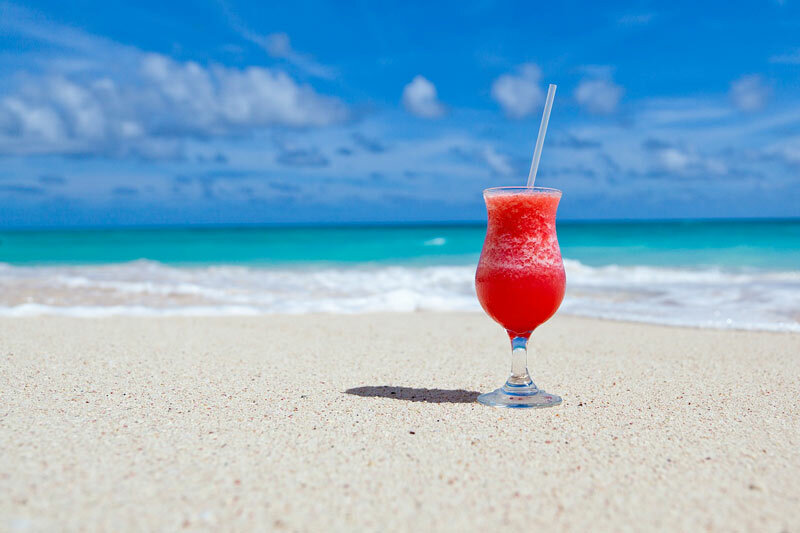 Everyday life is waiting for you when you come home, so it’s okay to order that extra piña colada or to go back to that stunning restaurant you discovered on the first night of your holiday. 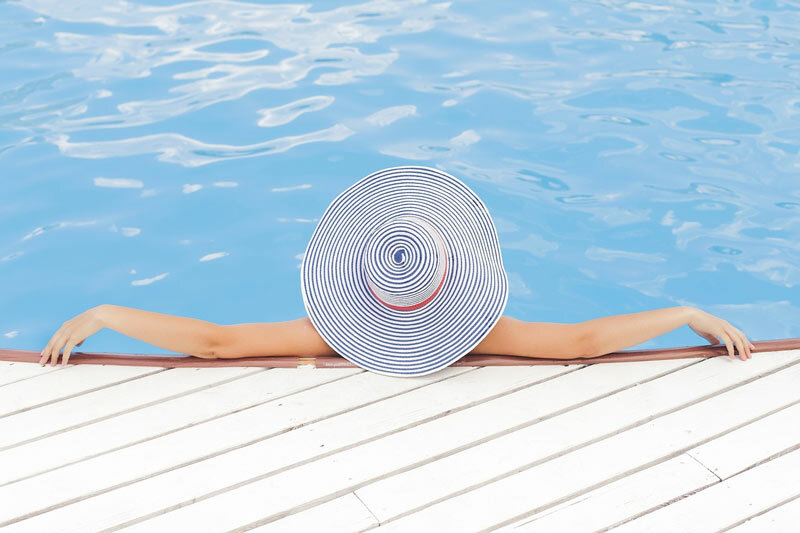 If relaxation is your goal, then it’s important to eat and drink what you want and to manage all of the usual money worries and body-image issues. As far as alcohol is concerned, however, just be careful that indulgence doesn’t lead to overindulgence, as nothing ruins your chill as much as a horrible hangover in a hot country. If mismanaged, there’s nothing quite as stressful as the logistics, tickets, departure times, bus schedules, and all of the other minutiae involved with getting from your home to your hotel. There’s no point in planning a restful, relaxing holiday if getting to it drives you to the cusp of a breakdown. 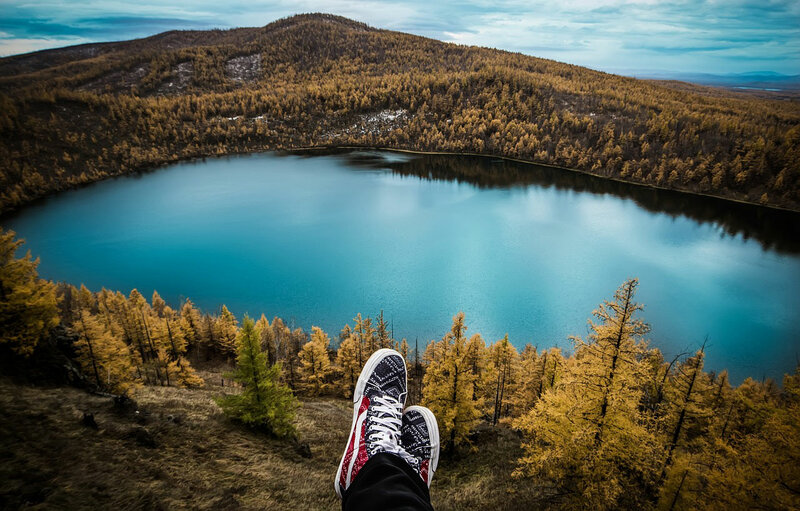 The best way to avoid travel stress is to give yourself a lot of spare time. Leave the house ridiculously early to give yourself enough time to get to the airport. If you leave early enough it’s okay if you miss a bus or train because you’ll still get there if you catch the next train or bus. The worst that can happen with this strategy is that you’re waiting around in the airport and get a little bored. But if you’ve followed the earlier advice in this article, this is the perfect time to get stuck into your first-holiday read. It’s also a good idea to only book flights that leave at respectable times of the day. Don’t book a flight that means you have to wake up at 3 am. Not only will lose sleep stress you out, but the unsociable hours will make getting to the airport even harder. 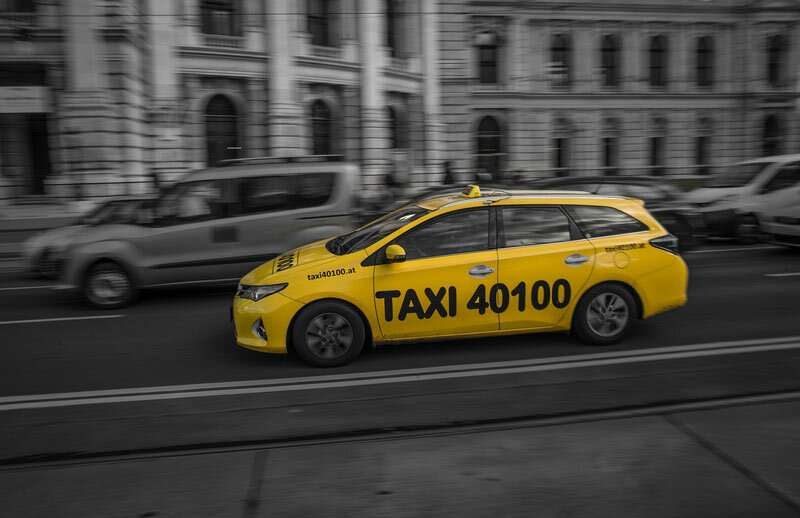 Take a taxi from the airport to your hotel. One of the most stressful things about traveling is often the journey from the airport to your hotel. As soon as we’re off the plane we’re struggling to find a bus terminal or access to the underground. Then we have to negotiate the language and probably worry about whether we’re going to miss our stop. I know it’s pricey, but splurging on a taxi to your hotel takes a lot of the stress out of the situation. You can even Google how much the taxi will cost beforehand as often the stress comes from worrying about what the damage will be. It’s also a bad idea to make plans for your first day. You will probably be tired from traveling, so don’t ask too much of yourself once you get to the hotel. It’s okay to just have a nap when you get there; the holiday location will be there when you wake up.